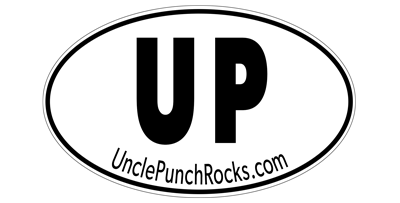 Uncle Punch | No apologies hard rock n’ roll that will knock you out! Uncle Punch was full of energy and delivered a stellar performance at our Race to Cure Sarcoma Denver. The perfect way to unwind after the race! Energizing and rocking, Uncle Punch delivered the punch to end our festival! With a right-hook of Classic Rock and an upper-cut of musical prowess, Scott, Stu and Darrin delivered a knock-out performance for Colorado Bike MS. Expert musicians playing bare-knuckled rock n’roll and a cold Left Hand Brew after a long bike ride? A winning combination! Taking you back to a time when record stores mattered. It is the goal of Uncle Punch to perform at least 20% of the time on a pro bono basis to help verifiable charities that the band believes in. The National MS Society, the National Autism Association, the Denver Dumb Friends League, the Red Cross, and the American Cancer Society are all examples of non-profit organizations that the band would like to be involved with. Join the Punch List today and keep up-to-date with your favorite band.